• A full walking tour of the home with analysis of its major systems. • We address any questions and concerns you may have, while assessing and describing the conditions we discover. • A detailed report including narratives, and photos is emailed to you in both HTML and PDF format. ​For more information or to book your inspection Contact Us now. ​Thinking of selling? Would you like to understand the condition of your home and how prospective buyers will be assessing it? Or, do you live in an older home and are simply curious about its current condition? • A pre-sale inspection is an educational walk-through of your home, with a thorough assessment of its systems. • Advice and recommendations are given based on your goals as a home-owner, or potential home-seller. • A report is then provided to the you, the home-owner, for further reference. Utilize quality tools including moisture meters, electrical testers, infrared thermometers, water-pressure gauges, etc. Carry card-reading terminals for on-site credit payment, as well as accepting Interac e-transfer, cheques, or cash. Identify major deficiencies, and potential safety hazards. Conditions found are reviewed step by step. Inspect as a two-man team to be quick and thorough. Are happy to show you how various systems of your home work. We have over 35 years of certified trades experience.  Are available for any questions or concerns before, during and after the inspection. Are fully bonded and insured. Your confidence in our performance is our main concern. Are pet-friendly and pet-conscious. Let us know about any furry friends with whom we may be sharing the inspection property. E-mailed to you for future reference. Are easy to read and understand. Include colour photos for greater clarification of reported conditions.